Boston police allowed a detective to participate in the 1993 investigation into the murder of another detective, John J. Mulligan, though police had been told that the pair had robbed a drug dealer together, newly released Boston police records show. 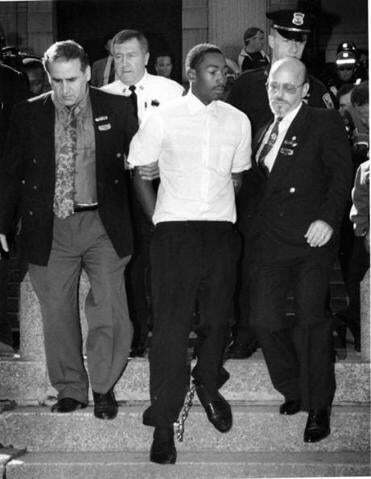 A report on the allegation that Detective Walter Robinson and Mulligan robbed a drug dealer at gunpoint in 1991 was prepared by the Police Department’s Anti-Corruption Unit in November 1993, but was never provided to the defense lawyers of the man convicted of Mulligan’s murder. The report was only made available this week — 21 years later, according to Rosemary C. Scapicchio, the appellate attorney for Sean Ellis. Mulligan was killed on Sept. 26, 1993. While sitting in a Ford Explorer during a paid detail in front of a Walgreens store in Roslindale, Mulligan was shot five times in the face with a .25 caliber pistol, and his service pistol was stolen. According to Scapicchio, the Anti-Corruption Unit prepared at least two reports in the weeks after Mulligan’s killing, including one that concluded that the person who reported the 1991 armed robbery of drug dealers was a credible witness. Scapicchio said she is reviewing the Anti-Corruption Unit file as she pushes Suffolk Superior Court Judge Carol Ball to grant Ellis a new trial for what she contends are multiple constitutional violations during the initial investigation. Hearings on the motion will resume in November. Scapicchio said that the substance of the 1993 report was published by the Boston Globe in 1996, prompting Ellis’s trial attorneys to ask Boston police for any reports about the relationship between Mulligan and Robinson, a request that a judge denied. Dana Curhan, a Boston defense attorney who specializes in appeals, said that the failure of police to turn over the report until now could lead to a new trial for Ellis, who was convicted of first-degree murder and is serving a life sentence without parole. Curhan said the reports, by themselves, will not lead to a new trial and the issue that is created by the reports is not whether Ellis is guilty or innocent. Instead, the legal issue is whether a jury could have been swayed by the information to possibly reach a different verdict, he said. “The fact that there is a constitutional violation and it may have had an effect on the trial, or on the fairness of the trial, that is what will give you a new trial,’’ Curhan said. In a statement, Suffolk District Attorney Daniel F. Conley’s office said homicide detectives and prosecutors did not have access to the reports at the time Ellis went to trial. Conley’s office said the records were privileged and only released this week because Ball ordered them to be turned over to Ellis’s defense. Conley’s office said Ball’s order was the first time a judge ordered that the files be released, and noted they were provided to the defense within 24 hours. Boston police did not respond to a request for a comment. Ellis was tried three times before the third jury convicted him. The defense acknowledged that Ellis had been at the drug store, but maintained that his co-defendant, Terry L. Patterson, was the shooter. Patterson was tried separately; his first-degree murder conviction was overturned on appeal. He has since pleaded guilty to manslaughter. Ellis was 19 when he was charged with murdering Mulligan. He was escorted out of the courthouse in handcuffs by Robinson and Detective Kenneth Acerra. Both Robinson and Acerra pleaded guilty in federal court in 1998 to robbing drug dealers and stealing their cash. Both were given three-year sentences. In the Mulligan investigation, Robinson and Acerra were instrumental in getting the key prosecution eyewitness to identify Ellis as the person she saw outside the Walgreens around the time of Mulligan’s murder.